I've had so much fun with the new oversize color laser printer that I felt the need to share another political graphic suitable for framing for the holidays. 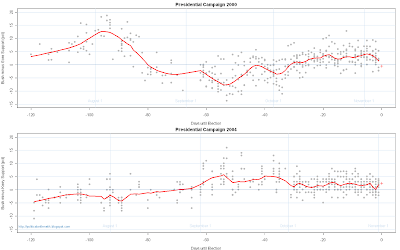 This one compares the 2000 and 2004 presidential campaign dynamics. I'll let you add your own commentary, suitable for either party.